Joe Dumba, a husband, father, grandfather, coach and teacher who made learning fun and winning even more fun, died peacefully on January 22, 2019 at the age of 86 surrounded by loved ones. Joe was born in Dysart, Saskatchewan to immigrant Romanian parents. The youngest of ten children, Joe was predeceased by his father (Wasyle), mother (Maria) and 9 siblings. Joe’s competitive ways were established early in life with his natural abilities and passion for sports. He played hockey at a high level, tried out for professional baseball and was an unbeatable pool player. In later years he golfed, curled and played all sorts of card games, especially bridge. Even when diabetes took his leg, he still maintained his passion because “When the going gets tough, the tough get going!” Joe was a beloved teacher. He obtained a Bachelor’s of Education from the U of S, the first in his family to complete a degree. His first teaching job was in a small country school near Regina. He taught in various capacities in Marcelin, Eston, Davidson, Eatonia, Rosetown, Muenster and Pilger before retiring at 54 years old. He completely enjoyed teaching kids in every subject, helping them grow and reach their potential. Joe was often considered the “best teacher I ever had”. Joe spent many years coaching and officiating sports. He led school teams (volleyball, basketball, gymnastics and football) to regional and provincial titles and coached multiple winning provincial titles in baseball and hockey. Joe found joy instilling a winning attitude in the people he coached.Joe married Doris, his wife and partner of 57 years, in 1961 and they had 3 boys: Darren (Sue), Maury (Darlene) and Jeff (Chantal); and seven grandchildren: Dustyn (Sadie), Josh, Kelsey (Kyle), Jordan (Mashall), Mitchell, Mackenzie and Megan. He was thrilled to learn he has a great-granddaughter on the way. Joe loved being with his grandchildren; cheering, teaching and shaping their lives. Joe and Doris moved to Saskatoon in 1990 where they spent many years singing in the church choir, being active members of their community and cultivating dear friendships. Joe was a kind and generous person who loved his family. He was proud of the family name and successes in education, business, sports and contributions to community by his sons, their children and his extended family. He had an excellent sense of humor and will always be remembered for his favourite jokes. A special thanks to Dr. Fenske and the nurses on the 7th floor at St Paul’s Hospital for your special care and attention. 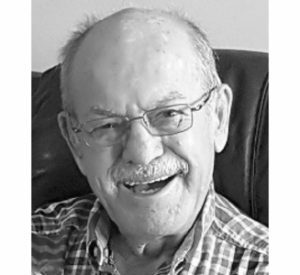 A funeral service will be held to honor his life at Hillcrest Funeral Home at 210 Wess Road, Saskatoon at 2:00 p.m. on Saturday, February 2, 2019. Upload a picture: (Allowed file types: jpg, png, maximum file size: 128MB. What if low-cost funerals were a promise and not just a slogan? At Cherished Memories – it is a promise. Kevin Martens began working in funeral service alongside his father while still in high school. After graduating in 1994, he decided to move to Alberta and embark on his funeral service career. Kevin took his funeral director and embalmer training in Alberta through Mount Royal College and earned the award for the Highest Academic Standing. He was licensed as a funeral director and an embalmer in 1998. Kevin, along with his wife Charmaine have 4 boys. They are very involved in the community including sporting activities, church and municipal politics where Kevin serves as Deputy Mayor. They started Cherished Memories in 2006 with a mission to serve families with compassion and complete honesty while providing the lowest costs in the area. Some Funeral Homes claim to be low-cost, but for Cherished Memories it is a promise – not just a slogan. Contact Kevin & Charmaine for compassionate, honest and transparent services and fees. They have saved families thousands of dollars. Cherished Memories – pushing the boundaries of tradition.